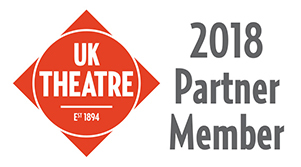 There is one year – 365 days – before The Questors Theatre, Ealing, London W5 5BQ will host the 2020 LTG National Conference and AGM. Attached are an A4 and an A3 poster for you to print off and post on your theatre’s notice board as a reminder of the date. We plan to bring delegates an exciting and stimulating programme of events and workshops. If there is a topic you would like to be covered, do get in touch.